The One Answer for All Your Auto Problems! 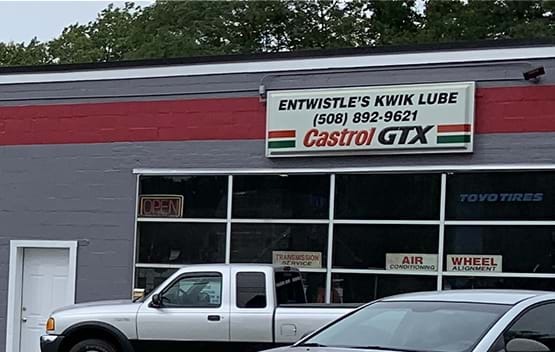 Entwistle's Garage, Inc is a family-owned and operated auto repair shop serving Leicester, MA since 1947. Over the years, our automotive services have grown from oil changes and towing to everything you could possibly need or want for your vehicle—computer diagnostics, emissions repair, collision repair, custom exhaust work, pipe bending, and much more! Today, we’re truly the Leicester auto repair shop that does it all, and our ASE-certified mechanics and staff have genuine integrity. We wouldn’t be in business for 70+ years if we didn’t do quality work and do right by our customers. At Entwistle's Garage, we understand taking care of your vehicle isn’t always (or ever) the easiest or most convenient thing to check off your to-do list, especially when an auto repair is urgent and unexpected. Don’t hesitate to take advantage of our financing options, night drop, or inexpensive rental cars for longer repairs. Even if all you need is a cup of coffee or internet access, we’re here for you. We offer coffee, refreshments, and free Wi-Fi in our waiting area. Get where you need to go with our pick-up and drop-off service. Drop off your vehicle, and give us a call to tell us what you need. For longer repairs, we offer inexpensive rental car options. Wherever you go, our nationwide service warranty is with you. We accept Car Care One, Wright Express, and PHH financing. Our auto repair facility is conveniently located at 800 Main Street in Leicester, MA, and we’re proud to say we have customers from all over the Worcester County area, including Spencer, Holden, Paxton, Worcester, and Auburn. Like our neighbors, we value hard work and honesty, and we’re lucky so many people in the community support local, family-owned businesses like ours. Thank you, Leicester, for bringing your vehicles to Entwistle’s Garage over the years. Entwistle's Garage only gets better with age. Call us for the finest in automotive service and customer care!